EU leaders will broadly avoid discussing refugee quotas at this week's summit due to internal disagreement but instead focus on stopping people coming to Europe. The EU summit talks are part of a desperate plan to curtail the flow of migrants and refugees from Africa, as the EU imposes greater emphasis on security and border controls throughout the region. EU council president Donald Tusk, in a letter addressed to EU leaders on Wednesday (21 June), said more must be done to keep people from disembarking from Libya's 1,900 km coastline. "I don't see why we cannot bear greater financial responsibility for the functioning of the Libyan navy coastguards," he said. 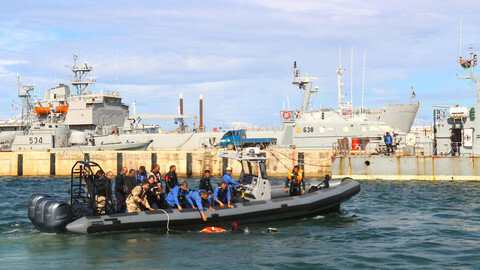 Tusk, who described the Libyan coastguard as allies in the fight against smugglers, noted that far more people are leaving the war-torn country to Italy compared to last year. 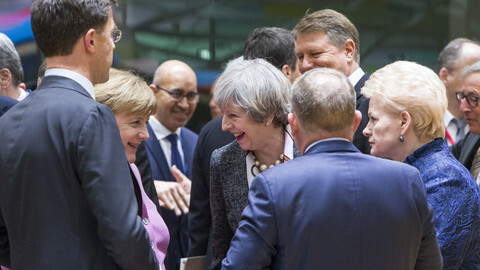 The issue will become a focal point of discussions among EU leaders on Friday afternoon in Brussels. Senior diplomats have told reporters that the meeting on Friday will likely zone in on the external dimension of migration, where there is wider consensus. Other more politically charged internal issues on migration, like imposing mandatory asylum quotas, are likely to get short shrift given the surrounding sensitivities among anti-asylum EU states. "The focus on the whole migration issue will rather be on that side, the external one," noted one EU diplomat. 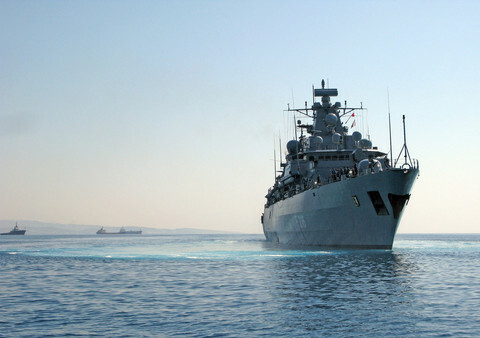 A report earlier this month by the United Nations has also cast a long shadow over efforts to reinforce the Libyan coast guard. A panel of experts at the UN body accused the coast guard of being directly involved in violating the human rights of migrants. Those who are returned to the country are often placed into detention centres, some are held for ransom, while others are auctioned off in slave markets. 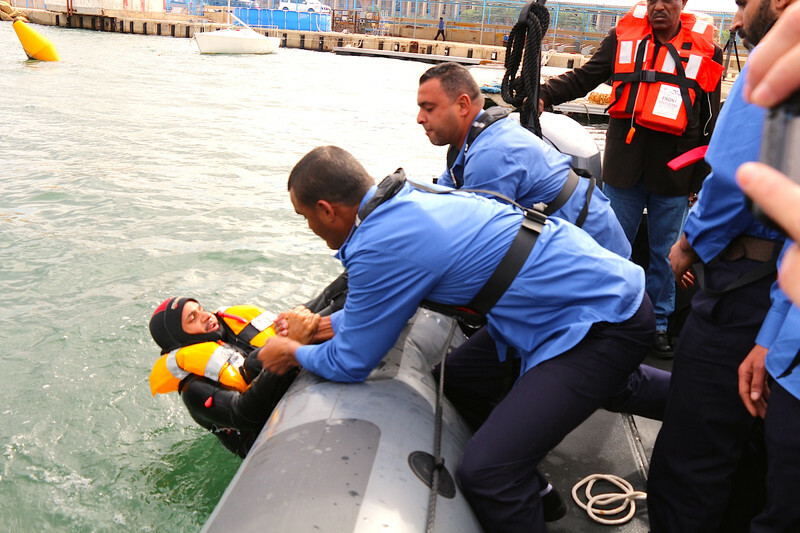 This year alone, the EU has trained 133 members of the Libyan coastguard, with many more awaiting training. The guard has plucked an estimated 23,000 people from Libya's territorial waters since 2016. The scramble to prevent people from leaving includes wider proposals on border management in the Sahel region and along Libya's vast porous southern desert borders with Algeria, Chad and Niger. Among the proposals is a joint Italy-German border management plan to secure the 400 km border with Niger. Another involves the Swiss-based International Organisation for Migration (IOM), which is trying to stabilise the area by working with the different tribal groups. Italy is also carrying out a similar project. 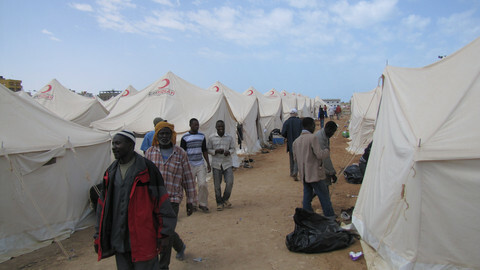 While far fewer people are using the route in Niger to reach Libya, others are treading more dangerous paths. In a statement, some 18 civil society organisations, including Save the Children, Amnesty International and Oxfam, have described the EU's external migration plans as broadly ineffective. Rather than open up more legal routes to allow people to reach Europe, the EU is trying to impose barriers, they say. "In spite of deterrence measures put in place, people continue to move in search of safety or a better life," noted the statement. The EU has earmarked around €90 million for Libya. 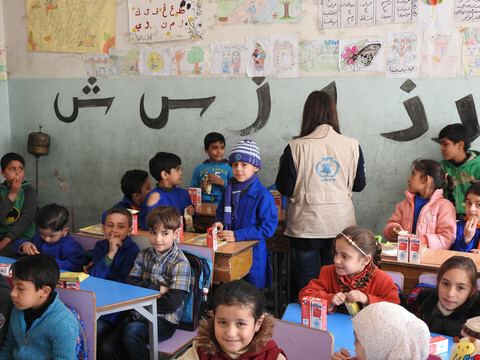 The funding is supposed to improve conditions in the detention centres and help fund projects coordinated by a number of UN agencies as well as the German Development Agency. But the tasks in Libya are wrought with difficulties given that the country still has no functioning state and is overrun by some 1,500 different armed militia groups. Most people who end up in the country did so to seek work and not to leave for Europe, while others may have no option but to disembark. Among them are Bangladeshis, who now count as among the largest nationality leaving Libya to reach Italy. "A year ago, Bangladeshis were not coming through the Central Mediterranean route at all," noted one EU official. Up until the end of April this year, around 4,600 Bangladeshis left Libya for Europe, behind 5,200 from Nigeria, and close to 6,000 from Guinea. German and Italian interior ministers are proposing an EU mission at Libya's border with Niger to curb migration and human smuggling. EU declined to name the two Libyan commanders, but said they were in Brussels to discuss how to support the Libyan coast guard.